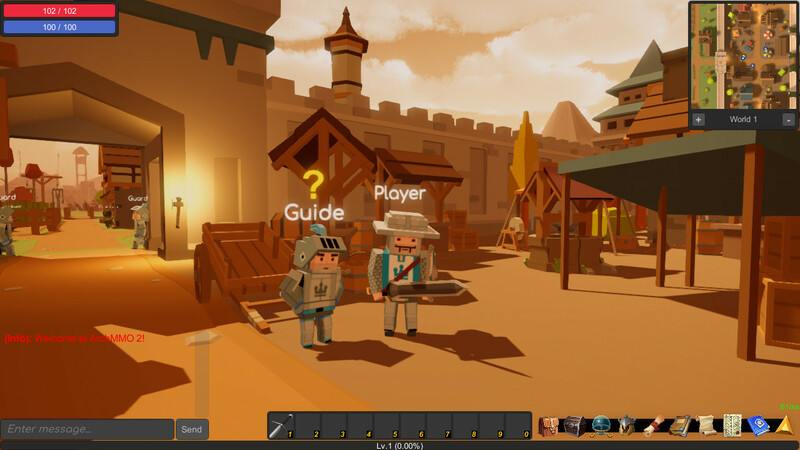 This isn't your daddy's MMO... ArchMMO 2 is a Voxel 3D MMORPG with races, factions, guilds, parties, pets, mounts, PvP, PvE, quests, and an open-world map! 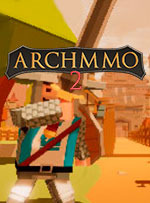 Explore the world of Arch today!ArchMMO 2 is being upgraded and developed every day, and now, it's on Steam. Steam is the best platform for an indie game to gather attention. 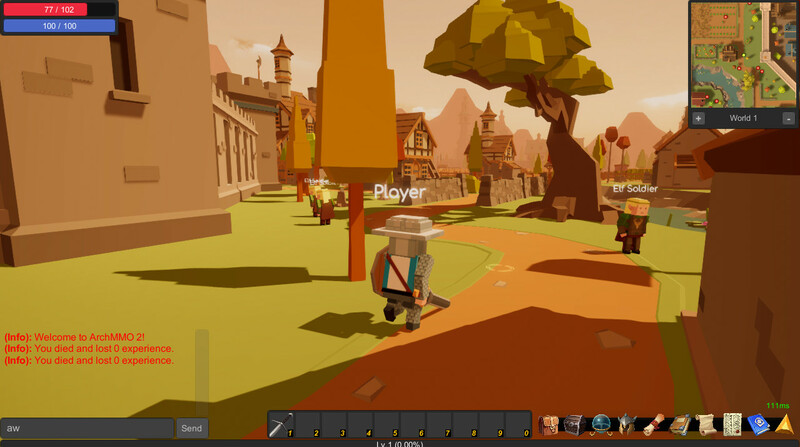 Thank you for playing ArchMMO 2, and I can't wait to see what's going to happen in the future!Currently, Weapons are a big thing I want to keep adding to. 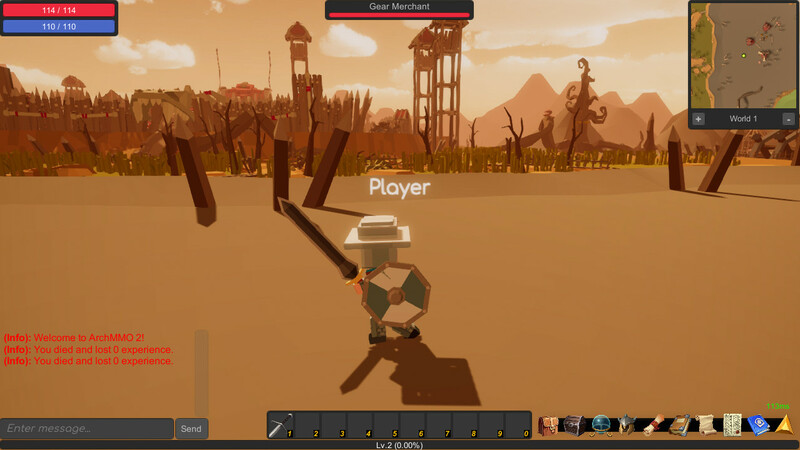 Every update will include new weapons, up to level 50! This will increase a large amount of gameplay! Magic and Skills are also a hugely important part of the game. I want to have some creative buffs, debuffs, and castings. 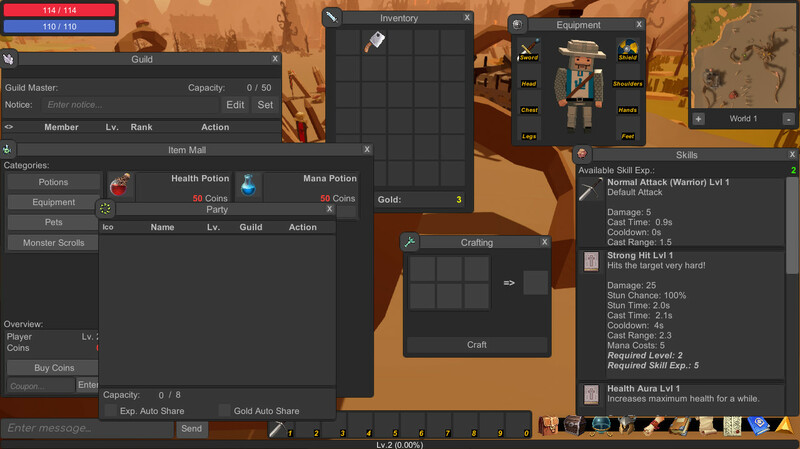 This is all being implemented in a later update. 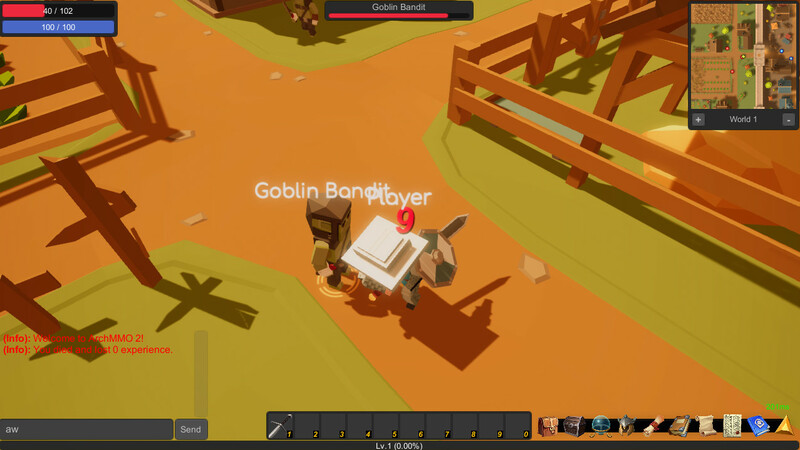 Quests and items are the priority right now.